Yankees Roger Maris, left, and Mickey Mantle flank President Harry S. Truman. Just finished “Truman”, David McCullough’s excellent biograph about the 33rd President of the United States, Harry S. Truman. What a wonderful read. Provided great insight into this relatively common man — at least by presidential standards — who led the nation in times of war and peace. Although it’s not portrayed in “Truman”, Harry was quite a baseball fan. Growing up in Independence, Missouri, it’s easy to think of Truman rooting for the St. Louis Cardinals. And he enjoyed going to the old Griffith Stadium in Washington, D.C., and watching the Senators play. 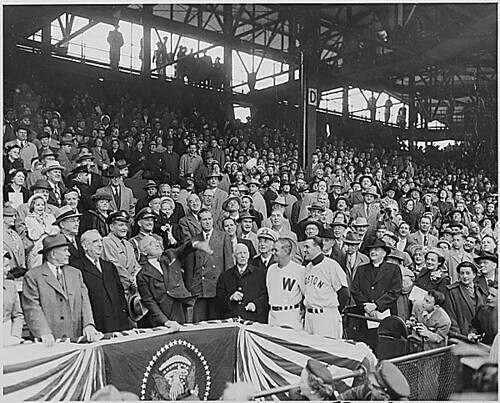 In fact, Truman, left, threw out the first pitch in seven successive opening games in Washington between 1946 and 1952. President Truman was ambidextrous and used both arms during his numerous ceremonial pitches. Senators owner Clark Griffith and Truman were actually good friends, and Griffith personally campaigned for Truman during his run for the presidency. Truman knew that his attendance at baseball games would symbolize world peace . 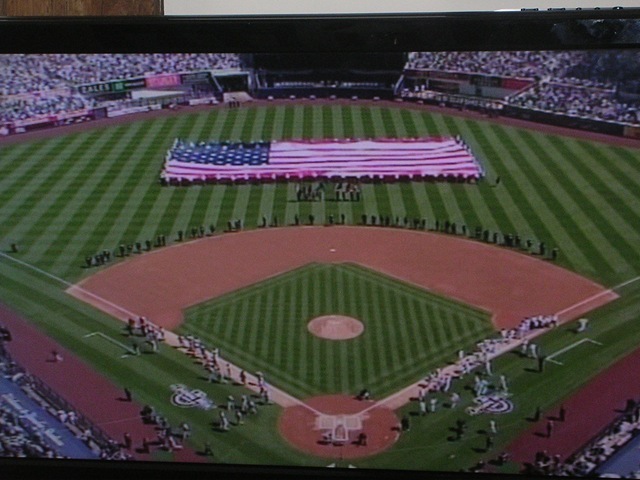 “May the sun never set on American baseball,” Harry Truman once said.